When it comes to comic-book fans, there are certain things that many seem to have a shared interest in. The most prominent, obviously, is serialised fiction and anything superhero themed. On top of that, there is usually an interest in science-fiction as a whole. Stories that explore the uncanny, the unexplainable and the endless possibilities of the future. A third potential interest, in my opinion, is mythology. This is highlighted by the fact that many superheroes have ties to myth. Marvel Comics Thor is a God adapted from Norse Mythology, and many of his supporting characters are themselves Gods (some authentic, such as Odin and Loki, others original such as Fandral, Hogun and Volstagg, more commonly known as the Warriors Three). On the DC side is Wonder Woman, a character who originated as a member of the Amazons, who are adapted from Greek mythology. 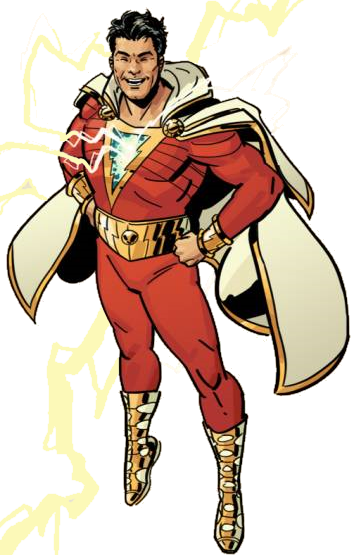 Similarly, the character of Captain Marvel/Shazam is transformed by a wizard into ‘Earth’s Mightiest Mortal’, invoking various attributes of Greek mythological figures (the strength of Hercules, the wisdom of Solomon, etc.). More enduring religions, such as Christianity, also hold sway in modern comic-book story-telling, with concepts like Heaven and Hell frequently appearing in stories featuring characters like Ghost Rider, who, as a ‘Spirit of Vengeance’ is, depending on the continuity, either an agent of Heaven or Hell. But even ignoring the superheroes who are actual Gods, comic books relate to mythology on another level. Posted by Emrys Moungabio on March 24, 2018 in Comic Books, What's Going On?